Quexcroft01263 715779work01603 870304fax Self-cateringThis wonderful property is the perfect place for a family holiday or for a friends gathering. Situated close to the sandy beaches, of Brancaster, this is a wonderful location to explore the beautiful Royal Norfolk Coast with coastal and countryside walks, fabulous nature reseves and sailing from Brancaster Staithe there is certainly plenty to do and fantastic memories to make. Quexcroft offers weekly bookings starting on Friday. This wonderful property is the perfect place for a family holiday or for a friends gathering. 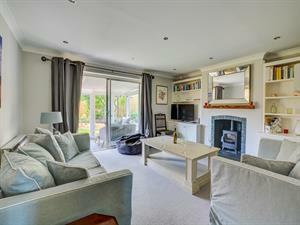 Situated close to the sandy beaches, of Brancaster, this is a wonderful location to explore the beautiful Royal Norfolk Coast with coastal and countryside walks, fabulous nature reseves and sailing from Brancaster Staithe there is certainly plenty to do and fantastic memories to make.